U.S. President Donald Trump has threatened to sign bilateral deals with Mexico and Canada in the past. OTTAWA/WASHINGTON - Canada on Thursday played down U.S. President Donald Trump’s suggestion that he might seek separate trade deals with NAFTA partners Canada and Mexico, noting he has made similar comments before. Trump said on Wednesday the United States might hammer out a trade deal with Mexico, and then do a separate one with Canada later. Talks to modernize the North American Free Trade Agreement are moving slowly. 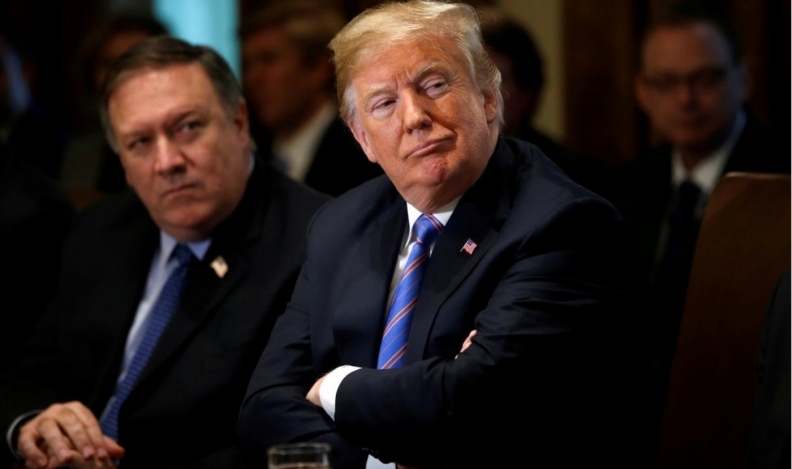 “From the outset President Trump has articulated a desire to do bilateral deals rather than multilateral deals so his comment wasn’t a tremendous surprise,” said David MacNaughton, Canada’s ambassador to the United States. “[NAFTA] is a tripartite agreement, we’d like to keep it that way ... I am still fully confident we are going to end up with a trilateral deal and not two separate bilateral deals,” he told a televised news conference in the Canadian province of New Brunswick. Trump said Wednesday he may prioritize a bilateral trade deal with Mexico over Canada and that he’s building a good rapport with Mexican President-elect Andres Manuel Lopez Obrador. Trump said earlier this year he may break up talks for a new North American Free Trade Agreement into separate tracks with Canada and Mexico. Officials from Mexico and Canada have expressed support for a three-country deal. The three countries have failed to nail down a deal to revamp the pact over almost a year of talks, with wide differences remaining over key issues such as auto-content rules and a sunset clause. High-level negotiations were paused in mid-May to allow the Mexican election process to play out. The three countries are expected to make a push to advance the talks over the summer. Mexican Economy Minister Ildefonso Guajardo said on Wednesday he’ll travel to Washington next week for ministerial-level NAFTA talks. U.S. Trade Representative Robert Lighthizer and Mexican officials are in constant contact, according to a USTR spokesperson who declined to be identified in an emailed response for a comment. The spokesperson didn’t mention interactions with Canadian counterparts. Top Trump administration officials visited Mexico City last week to meet the current and incoming administrations, providing the first chance for Lopez Obrador to set a tone for U.S.-Mexico ties after the July 1 election. The visitors included Secretary of State Michael Pompeo, Treasury Secretary Steven Mnuchin, Secretary of Homeland Security Kirstjen Nielsen and White House senior adviser Jared Kushner. Lopez Obrador takes office Dec. 1. Members of Lopez Obrador’s NAFTA team are working with the Pena Nieto government as consultants for the talks until the new administration takes over, Guajardo said last week. White House economic adviser Larry Kudlow on Wednesday said that there’s been “good progress” in talks with Mexico, which are paving a “promising avenue.” He declined to elaborate on specific issues. “We’re having very productive talks with Mexico,” Kudlow said at the CNBC Institutional Investor Delivering Alpha conference in New York. Trump on Wednesday mentioned Canada as an example of a country that treats the U.S. unfairly on trade, particularly over agriculture. Agriculture Secretary Sonny Perdue, speaking at the same event as Trump, lauded the president’s trade moves and said farmers understand the president and his goals. Reuters and Bloomberg contributed to this report.